Let me set the scene. You open your closet to try to figure out what to wear and you just stare. You stare at the many garments you own while thinking about which pieces will be suitable for your day. You take into consideration the occasion, the weather, how comfortable you want to be, and all of the other things that factor into your decision. It can be a lot! So, the last thing that you want to do is add another worry to your plate. For instance, when wearing sleeveless clothing, the look and feel of your underarms can be important. You want to feel confident and know that you will be protected all day long. …to a night out on the town with my girls. 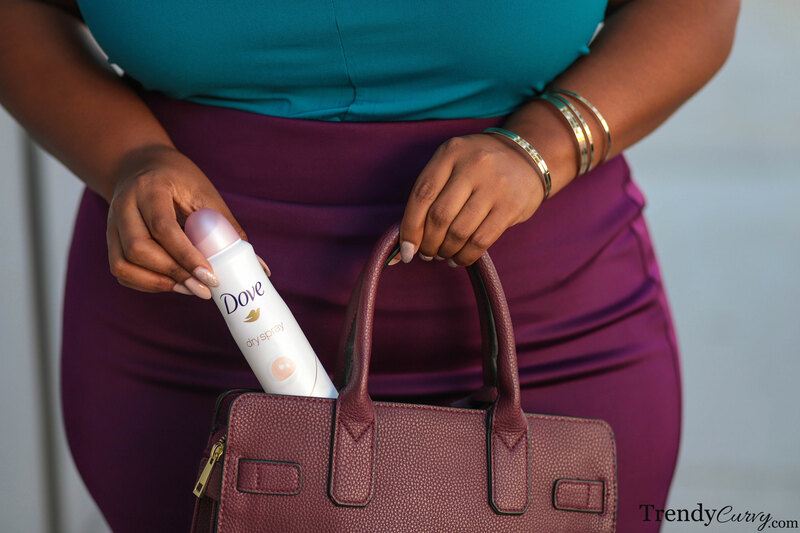 Dove Dry Spray Antiperspirant keeps me feeling fresh all day, and not having to worry about my underarms provides me with complete style freedom. 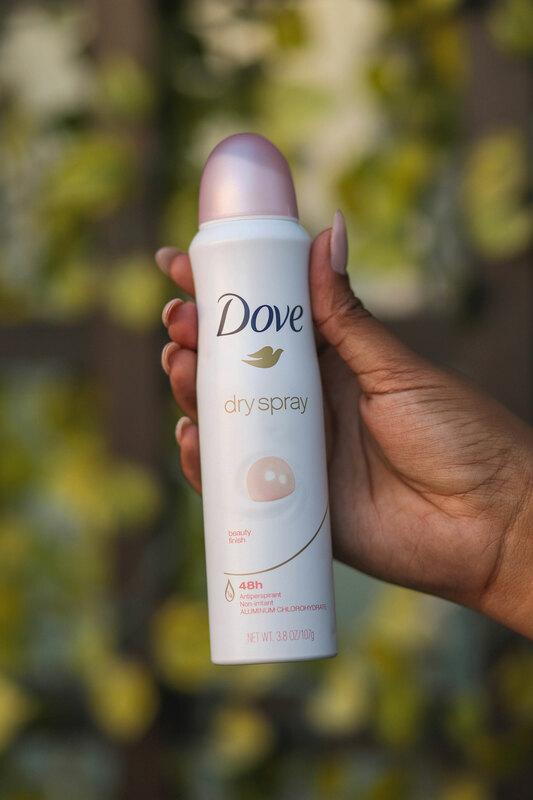 Let’s talk about what the benefits are of using Dove Dry Spray Antiperspirant. It provides 48-hour odor and wetness protection while going on instantly dry. Also, it cares for my skin and leaves me feeling confident to rock my favorite sleeveless looks! Wearing deodorant is a necessary component to everyday life. I think that’s something that we can all agree on. However, there are many options that you can choose from when making your next purchase. It may seem insignificant and often overlooked, but when you have a great product that not only smells good but cares for your skin, it makes all the difference. 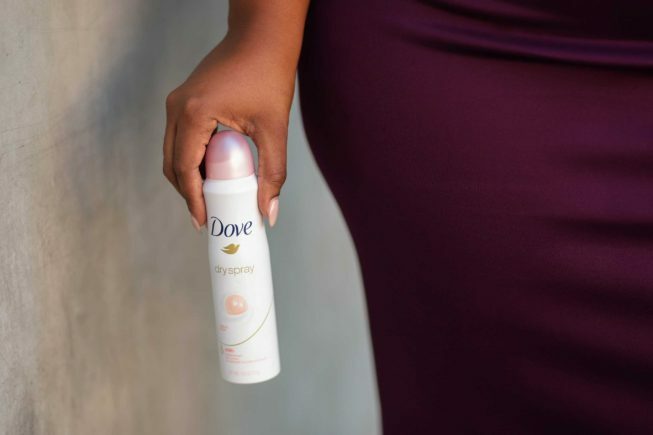 I highly encourage you to consider Dove’s Dry Spray Antiperspirant for your future needs. If you do, let me know how you like it! Hey those flat sandals are adorable! Where did you get them? Hi I’m really inspired by your post and love every outfit. I have noticed you don’t put a belt with some of your jeans. 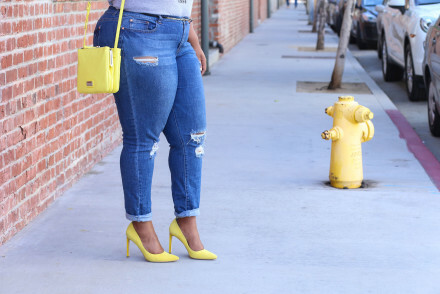 I’m a size 16 and it gets tricky to pull this look , do you have a tip for me on how to keep them up? Thanks for the information. I am going to try this anti-persperant. I love the color combination of your skirt and top. Keep giving us creative ideas.